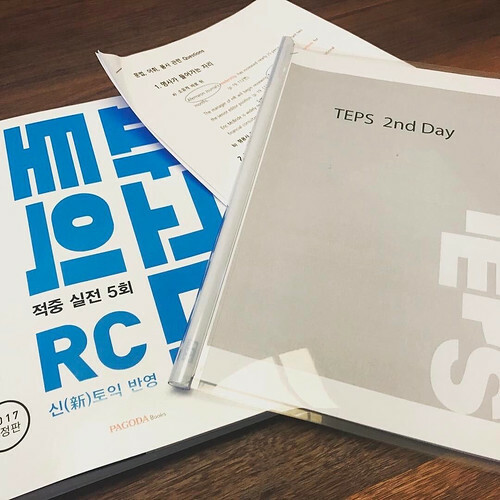 tenshi_akuma’s note: Suk seems to study TOEIC and TEPS (The Test of English Proficiency developed by Seoul National University). Maybe he is preparing to get another degree. I really admired him a lot, he never stops learning. Are you applying for another degree at SNU? Good for you!!! Continuous studying is good for artist. When studying more, your will find yourself more younger. Because the world is so big. It also can keep artist to go through many problems. I am very admire him that so hard working studying. He had graduated of HANYEUNG University for studying DIRECTOR. Also he can speak well in Japanese and English. But he is Korean. That let me so shocked for his good language skill and talent.